The League of Communists that changed its name to the Social Democratic Party (SDP) and had held government in Croatia a couple of times since 2000, including 2011-2015, is at this current election campaigning time ahead of September 11 poll pushing down harder on the tail of pursuits for the prosecution of communist crimes committed by Yugoslav communists and Partisans during and after WWII. It was expected, one could say, that strong pressure to stop any further prosecutions of communist crimes after the German court convicted August 2016 to 40 years imprisonment former Yugoslav communist secret police (UDBA) operatives Zdravko Mustac and Josip Perkovic for their role in murder of Croatian national Stjepan Djurekovic. But what Croatia’s Social Democrats and the leftist coalition are serving to the nation at this moment is a downright filthy betrayal of human justice and painfully reminiscent of the former totalitarian regime practices. On Friday 19 August 2016, only a couple of weeks after the German court’s findings against former communist secret police operatives SDP’s president Zoran Milanovic called at an election rally of his National Coalition in Slavonski Brod for the termination of division within the Croatian society, and said that “the story of 1941, the UDBA – is over“. “We must finally realise that the story of ’41, of UDBA is over, we had enough. What’s done is done. Let’s all look at ourselves in the mirror. But with that we will not move a single step, that only stops us. And our competitors, I emphasise competitors, not enemies in the business, earnings or in wealth look at each other as we ‘spit’ and gnaw at each other. They laugh at us and say ‘these people do not know what to do with themselves’. 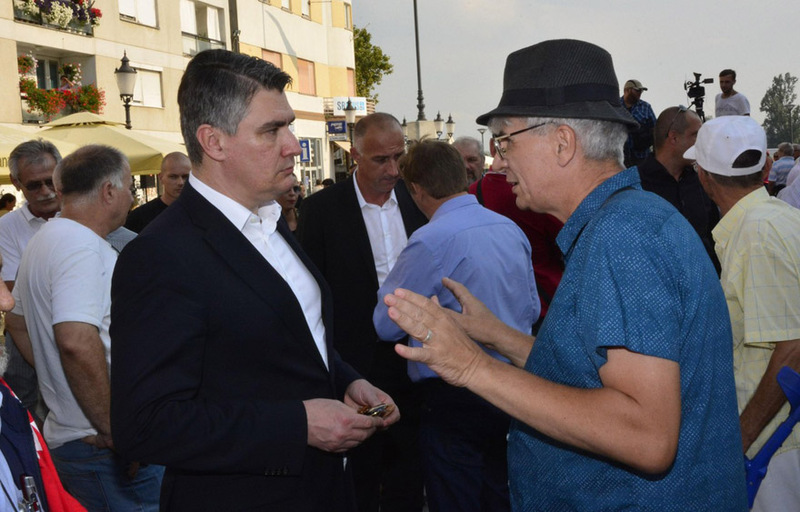 There is a coalition that knows what to do with itself, and which is not haunted by ghosts past and that does not indulge in the healing of personal and other complexes of a political opponent but wants an impact of ideas, ” Milanovic said in Slavonski Brod, Vecernji List reports. These words come from a hard-core former communist who did not move a little finger in the fight for Croatia’s independence in 1990’s and from the man who desperately tried to avoid or delay the extradition to Germany of the two convicted in Germany UDBA operatives; he had succeeded at this briefly by rushing in a law in Croatia that would prevent extradition from Croatia for any crime committed prior to 2000. Thankfully his ugly deed was overturned. These words rudely remind us of standards of thought and memory imposed by the former Yugoslav communist regime and here we are, in 2016, having to listen to Milanovic calling the shots as to whether the nation should pursue justice for communist crimes of the past pr not. Utterly deplorable! When the conviction and the findings against Mustac and Perkovic by the German court were published Milanovic did his utmost to pin Perkovic as a person of 1990’s HDZ/Croatian Democratic Union and Croatia’s first president Franjo Tudjman and attempted to cast aspersions against them. As the successor of the Communist Party, SDP keeps the remaining UDBA archives, and Milanovic finds himself in an awkward position if the murderous and oppressive UDBA past becomes a loud trend in current general elections campaigns. He was associated with the criminal and totalitarian communist regime and its UDBA archives undoubtedly contain much much more about individuals who had committed, or participated in communist crimes and ruthlessly cruel communist purges. Furthermore. Today’s Croatian society is made up of numerous immediate family members of the former UDBA operatives and this very fact would surely be a potent factor for Milanovic and his echelons to try and stop any further steps in the prosecution or unearthing of communist crimes. Further prosecutions and “pokings” into the archives is likely to unearth that not only did individual communists commit crimes of murder or participation in murder, false imprisonment and forced people of different political persuasion to flee abroad but it may well unearth the fact that these communists were also the ones who robbed Croatia and its assets blind. This is surely the reason why Zoran Milanovic had decided to resurrect from political retirement the biggest and the most oppressive communist crimes apologist Croatia had ever had the misfortune of having to deal with – the retired former President of Croatia Stjepan Mesic. Stjepan Mesic has been placed as candidate for Croatian Parliament on SDP’s National coalition list. 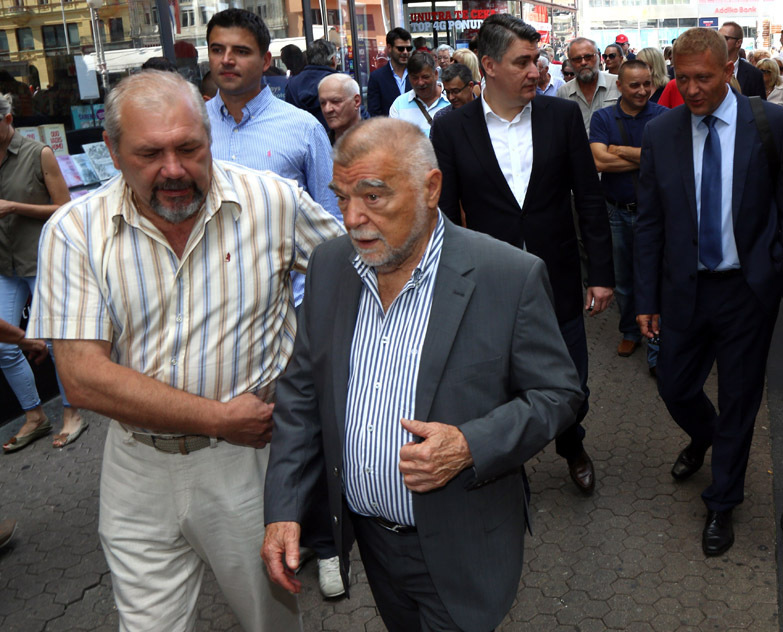 Resurrecting Stejepan Mesic from political retirement is a statement that strongly suggests that these communists will employ every weapon and tool possible in making sure there is no further court findings like those from the German court against Mustac and Perkovic. These communists must be stopped in their tracks to prevent justice for the victims of communist crimes just as anyone must be stopped in trying to prevent justice for victims of crimes committed under other totalitarian regimes during and after WWII. 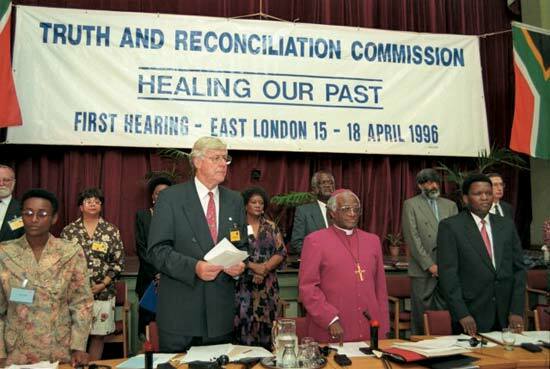 Archbishop Desmond Tutu, the former chairman of the South African TRC/Truth and Reconciliation Commission, successfully argued that in reckoning with the crimes and injustices of the past regimes, truth telling and the reformations of the people’s moral and political values are indispensable to national reconciliation. He particularly argued that forgiveness can play an important role in the moral and political reconstruction of society characterised by division, distrust and enmity… “the process of forgiveness also requires acknowledgement on the part of the perpetrator that they have committed an offence,” Archbishop Tutu said. Sadly, Croatia’s Zoran Milanovic at the helm of the renewed push to forget about past communist crimes also indicates that there is absolutely no will from the former communists to seek forgiveness for communist crimes; such a brave move would inevitably mean that former communists were indeed, and as historical facts hold, accountable and responsible for perhaps worse crimes than those they’re happy accusing the WWII Ustashe regime in Croatia under Ante Pavelic for. Let’s hope your words reach and serve as a reminder to the voters before the election so that the Communists will see there is no place for them in Politics in a modern Croatia. Nor will there ever be until they can not only admit to their crimes, but apologise the the people for them and attempt to atone. Personally I’d like to be sure that anyone guilty of a terrible crime does not escape punishment and that the UBDA files are open to inspection by relevant parties. At what point do the Croatian people wake up and finally deal with the past. Finally discredit the SDP…in any normal country this party would be on the fringe, not the mainstream. It is very discouraging that the electorate is so divided; people believe distortion and lies instead of holding their leaders accountable. We need a Desmond Tutu…or we just need people to wake up. 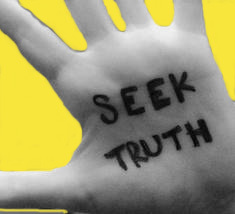 Yup Sunman, too many still with apron strings tied to former communist thugs in Croatia – we do need a Desmond Tutu or people to wake up, clench the teeth, face the ugly truth of past and move on. Covering up and stalling just prolongs the mystery – so much of it around because of SDP, Mesic and such political lunatics. Ahh, the “Social Democratic Party” is more pleasant to the ear than the “Communist Party”, but lets not forget that the Communist Party of Yugoslavia was formed as a result of the unification of the Social Democratic Parties of all republics of the former Kingdom of Serbs, Croats and Slovenes – so, therefore, in 1919, the Social Democratic Party begat the Communist Party of Yugoslavia, which in 1952 begat the League of Communists of Yugo. which in turn begat the Croatian Social Democratic Party once again in 1990. The changes were in name only – not in substance, as they themselves state. They proudly proclaim that they are the successors of the communist party, but how does it follow that they are then the keepers of the UDBA archives? They can be heirs to a political party, but on what basis were they ever allowed to assume responsibility, as just a political party, of national intelligence archives? 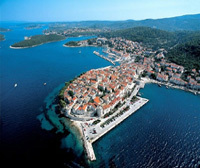 Why has no Croatian govt. from 1990 to present ever challenged legally their right to this material? Why has no HDZ President, then or ever demanded that those archives be repatriated to the Croatian govt? Exactly Velebit – “blood” is thicker than water and cannot be diluted by mere name change. As to archives these communists hold I too wonder why those had not become state archives but then again it appears a similar issue to dividing the assets of former Yugoslavia between the former states as per proper criteria – it has still not been done to my knowledge and it’s been 25 years or more and Serbia controls or occupies the buildings around the weorld that were diplomatic missions of Yugoslavia – most terrible. Mr Milanovic, I know you do not want me to say this, but the fact is that the story of UDBA is NOT over until every one of the perpetrators including those who killed even children and people who were nobody at all, have been brought to justice and purged from the government. forever. Yours is a voice that must be heard. People in Croatia are ignorant because of the following reasons. One is because they have been ‘marinated’ in a system that was built on lies, deception, repression…..a la Yugoslavia, where media was controlled by the state and people are too lazy to look outside the state-run mainstream media. They have not been taught to think critically. The second reason is that most people in Croatia are actually the children/relatives of former communist party sympathizers/members. Why would they want the truth of Tito’s repressive and violent regime to come out? Why would they want the State Archives opened when their own family members are implicated in crimes? We know the SDP is just an extension of the Communist Party of Yugoslavia. Sadly there are members of the HDZ and other parties who are still communists at heart. There are very few patriots like Zlatko Hasanbegovic’s and Zeljko Glasnovic running for government. These two men are actually trying to push lustration into place and let people know the truth about what the communists have been up to in Croatia for more than 70 years! No country can have peace, justice, and prosperity without dealing with the crimes of the past and those in government who are responsible for them. General Glasnovic even left HDZ to run as an independent because he felt HDZ was not doing enough to clean house. They are also not doing enough to protect the rights of Croatians in Bosnia-Hercegovina and the diaspora. Were it not for Croatians outside of the republic of Croatia, Croatia would not be free today. Were it not for the the army of Croatians in Bosnia-Herzegovina, the HVO, Croatians would belong to a Greater Serbian entity. Sadly Serb war-criminals and other so-called ‘minorities’ have more rights and representation in Croatia’s Sabor than Croatians abroad.